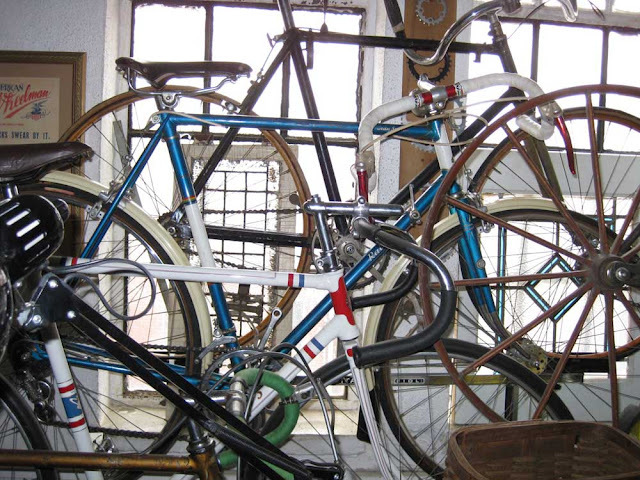 A week or so ago, I discussed a rack of bikes up on the third floor of the shop and stating one bike as having something to do with Alvin Drysdale. That was inaccurate. 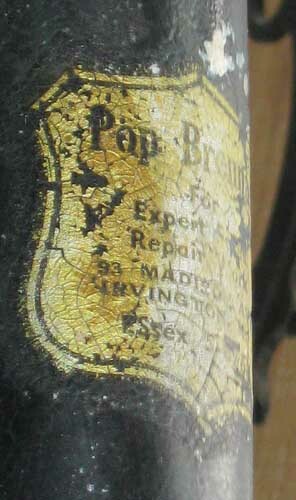 The bicycle has a Pop Brennan Shop decal on the headtube, not Alvin Drysdale. I still have no idea who actually made it, and I have not had the time to properly look it over, but it not like any Brennan that I have ever seen, and could have just been something sold through his shop. It appears to be early, but i have to really photograph and get a closer look at frame details to properly identify(or at least try to identify) and maker. Brennan bikes are very hard to come across and when they are given the Pop Brennan provenance, they do command quite a bit of money. I am not sure if the bike we have is a Pop Brennan, or if just came from his cycle shop. I have yet to find the time to probably document and deduce its marque.